I decided to bring the kids for their first experience ever, since they both love singing and dancing. They seriously loved it - Nadine took to the mike boldly; Jolie was a bit more shy. I was really encouraged the way Nadine tried hard to mimic the lyrics and pronounce words she doesn't know yet. 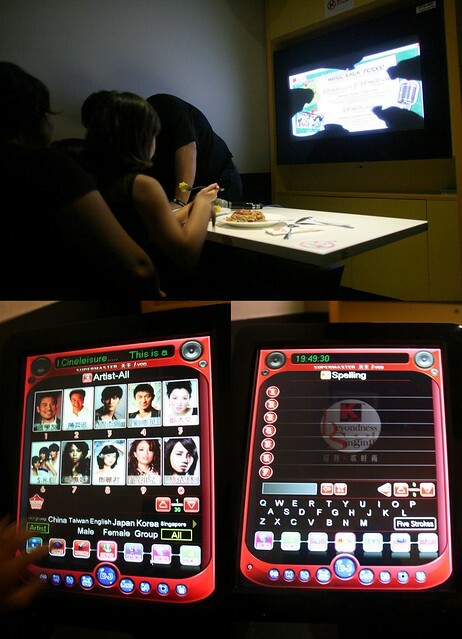 We had a cosy little room at the Cineleisure branch, and a colourful touchscreen control pad for picking songs - via artist, genre, language, popularity, alphabetical order or search. Even the kids knew how intuitively how to operate this thing. But luckily for me, they did not find the songs from Frozen, and they forgot about PSY! Phew! 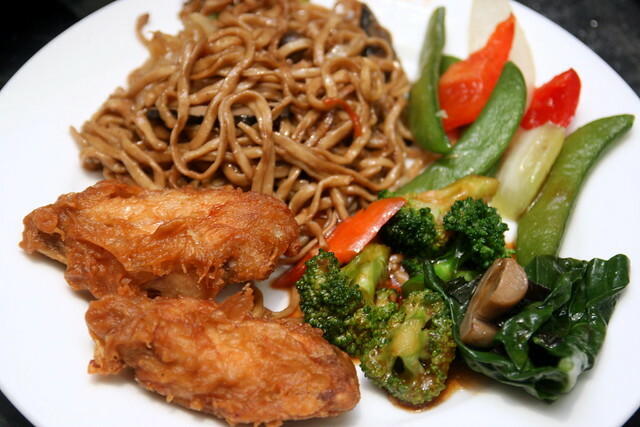 But let's take a look at the food! 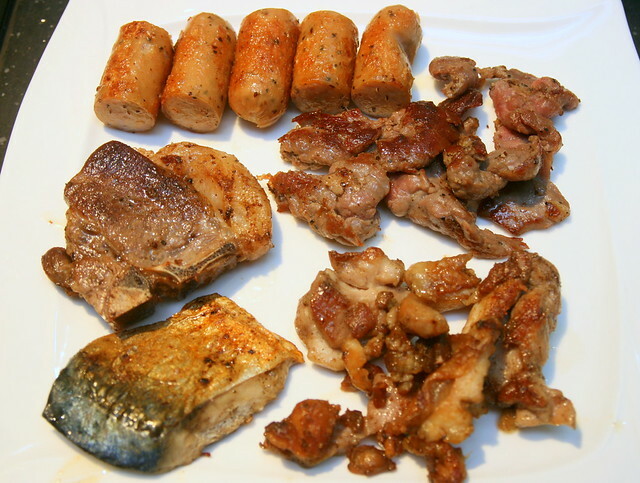 Meat eaters will probably make a beeline for the BBQ live station, where they pan-fry various meats. 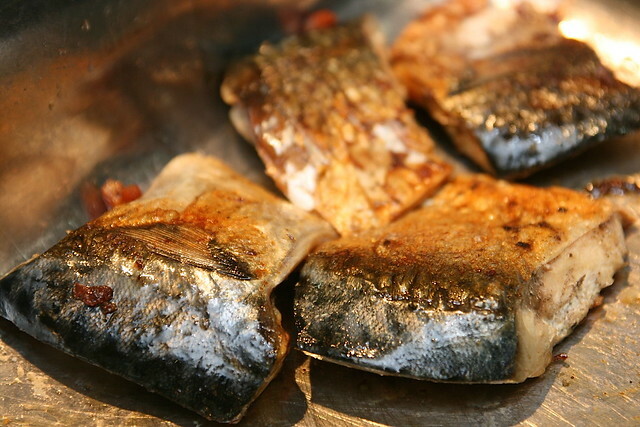 They dish up sausages, lamb chop, chicken, beef, and even saba or grilled mackerel. 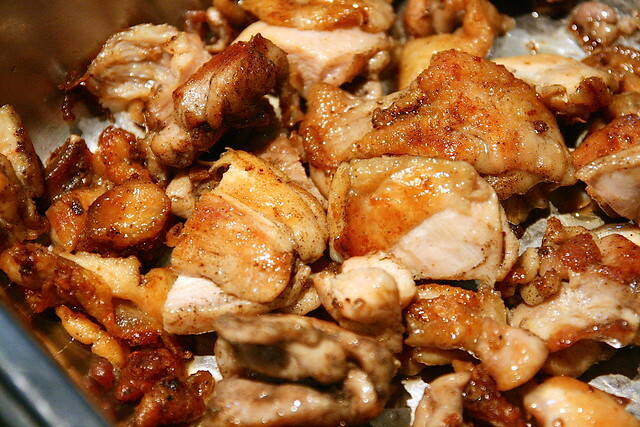 Look at all the grilled chicken. This was not bad; eat it while it's hot! I love how beautiful saba shioyaki looks. 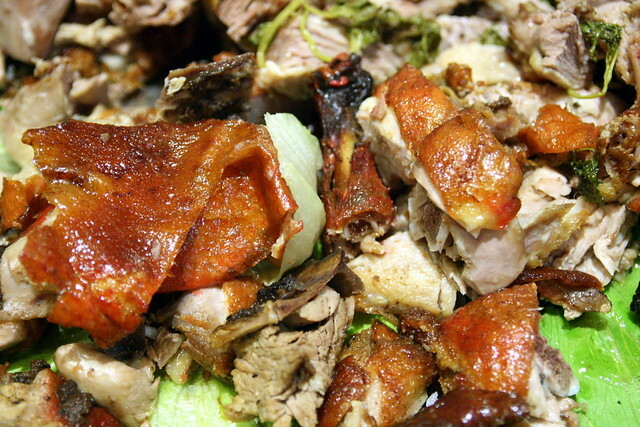 There's more meat over at the hot mains section - roast duck. I totally forgot to try this, as there was just too much food. 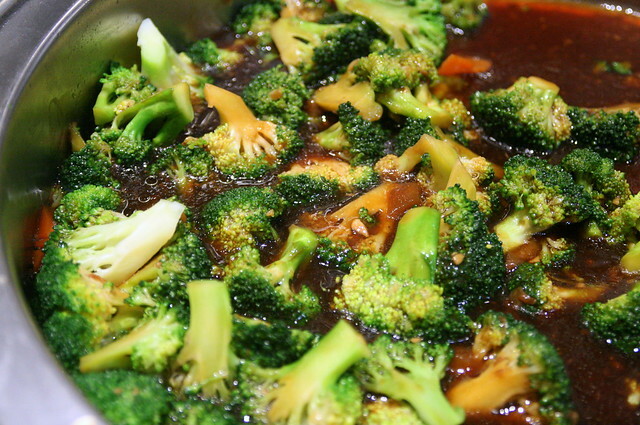 But there are lots of vegetables too - here, broccoli with braised sea cucumber. 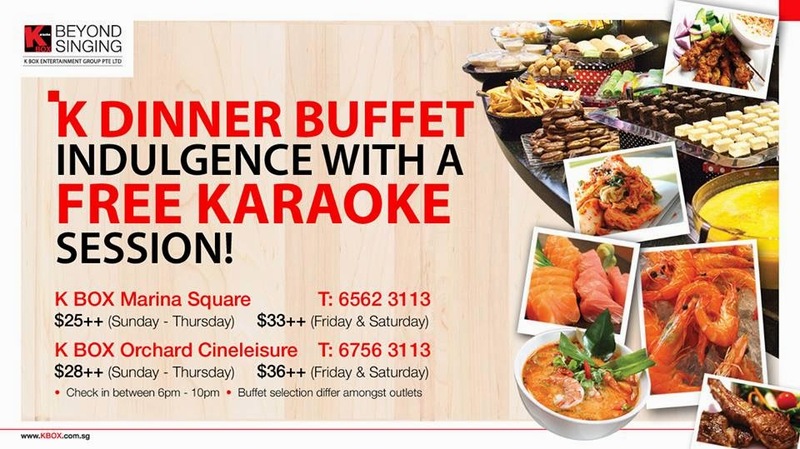 I'd recommend going early, cos some kiasu karaoke-ers might swipe all the good stuff. 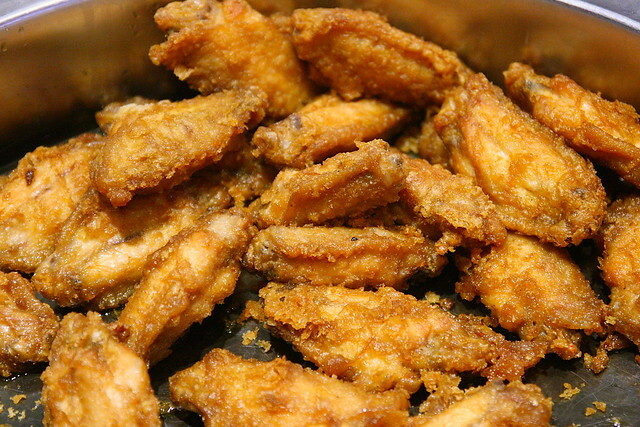 Fried chicken wings: always a staple at karaoke somehow. 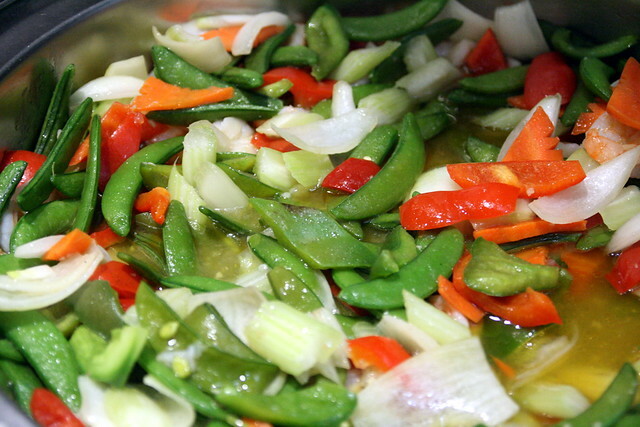 More vegetables, which is good! 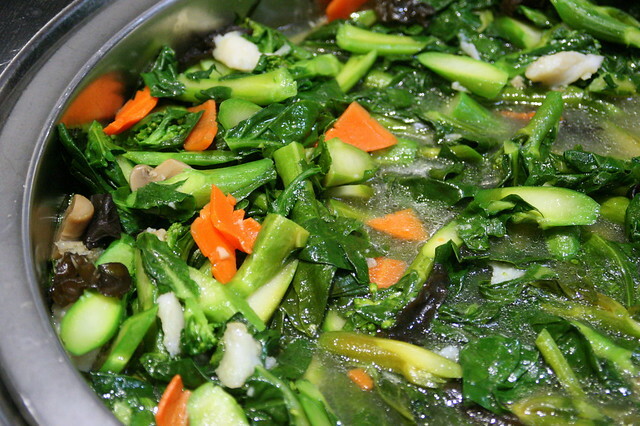 Kailan with carrots, mushrooms and wood ear fungus. 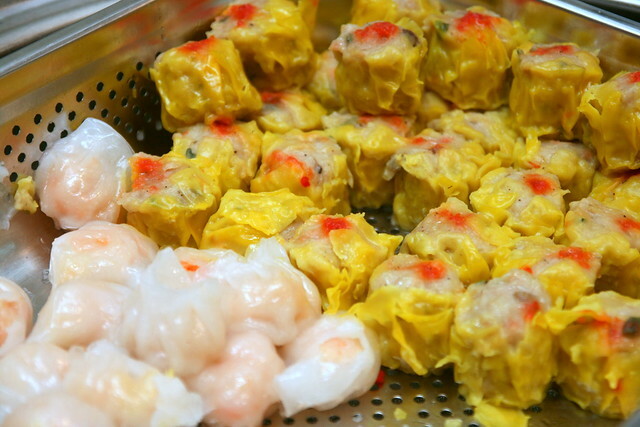 Dim sum - har gau and siew mai - the kids' favourite! And one more vegetable dish - snow pea medley with prawns. 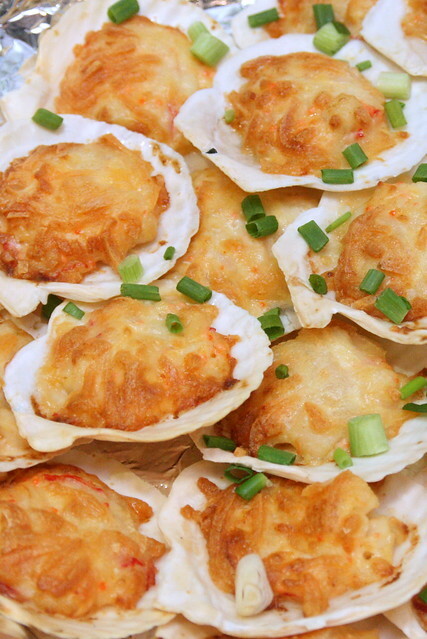 Cheese scallops baked on the shell! 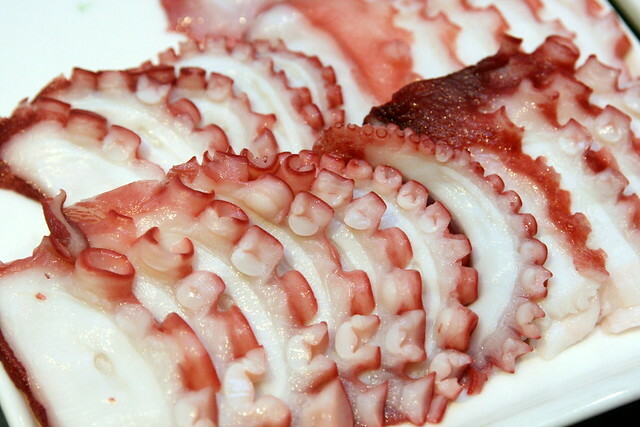 Worth a few bites. 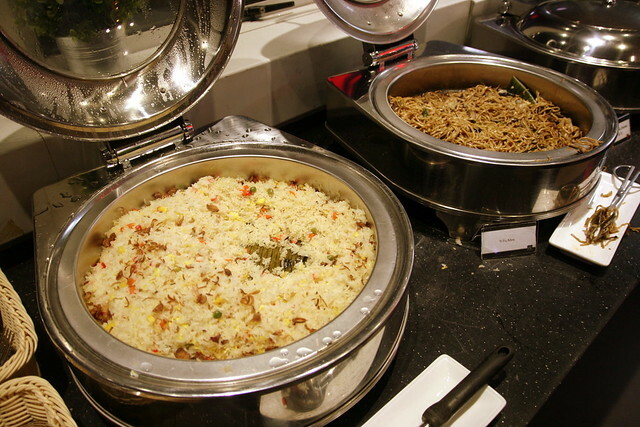 For the carb lovers - fried rice and fried noodles to go with all the hot food. But wait, don't fill up yet. There's salad and sashimi too! 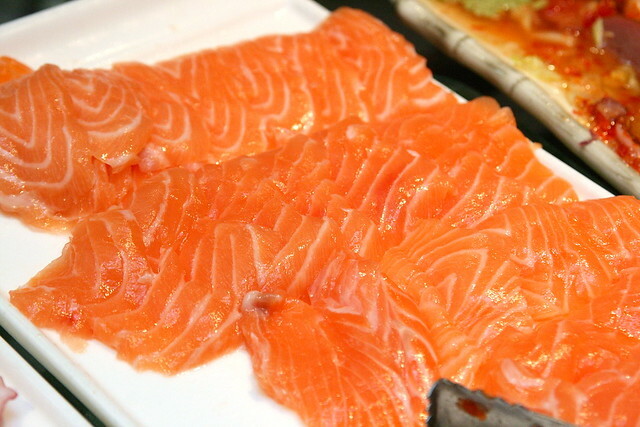 Salmon sashimi - the crowd pleaser! 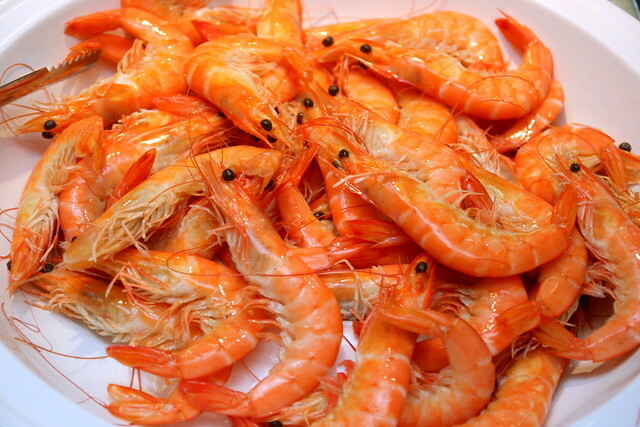 I think this is topshell in achar. 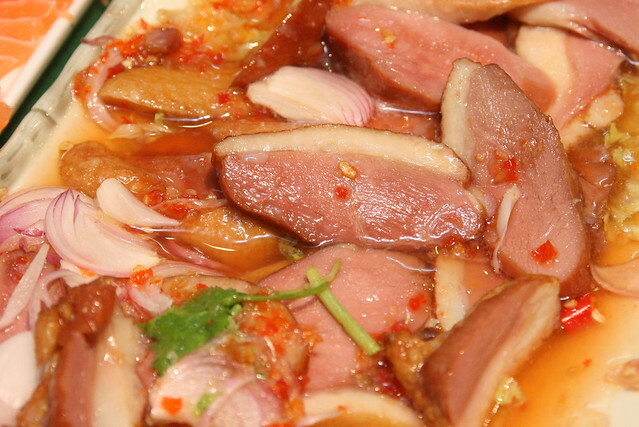 Smoked duck breast Thai salad style looks so good. 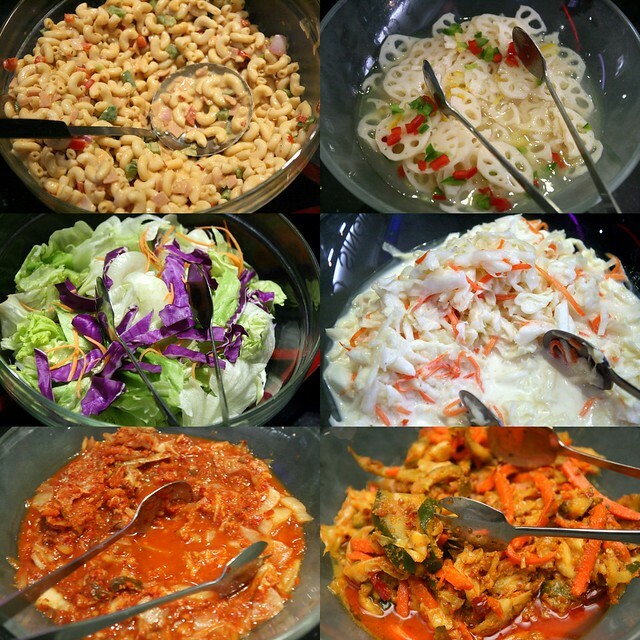 Lots more cold selections in the salad area. 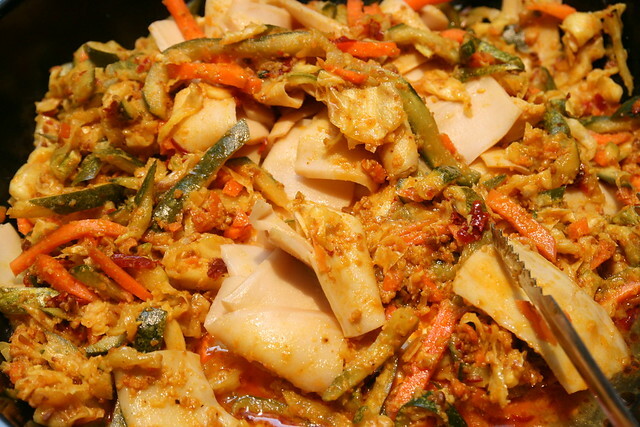 Pasta salad, pickled lotus root slices, green salad, coleslaw, kimchi, and achar. 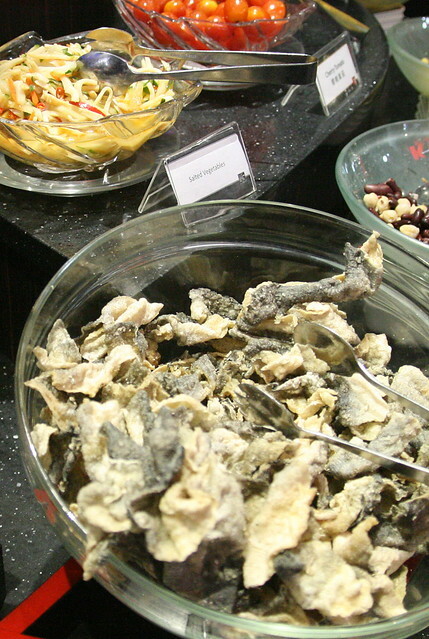 Crunchy snacks like fried fish skin (I love this) and papadum. There are jelly cups too. I think anyone would be too full for dessert after that spread. 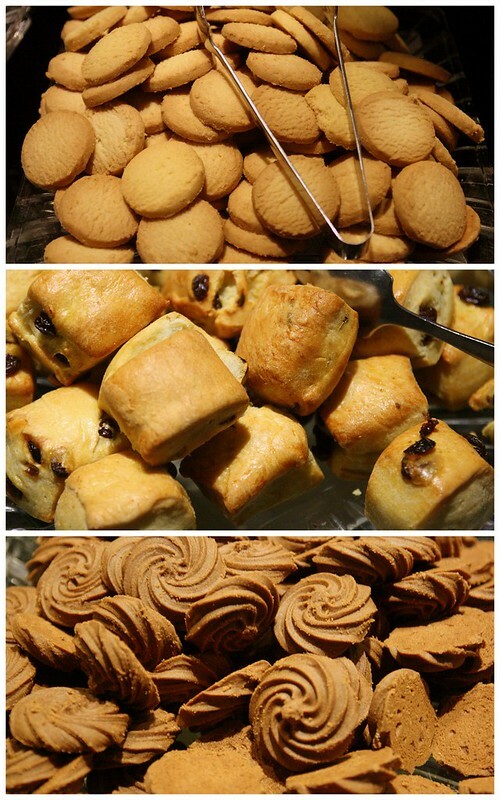 But they thoughtfully have small bitesize treats like cookies and scones. 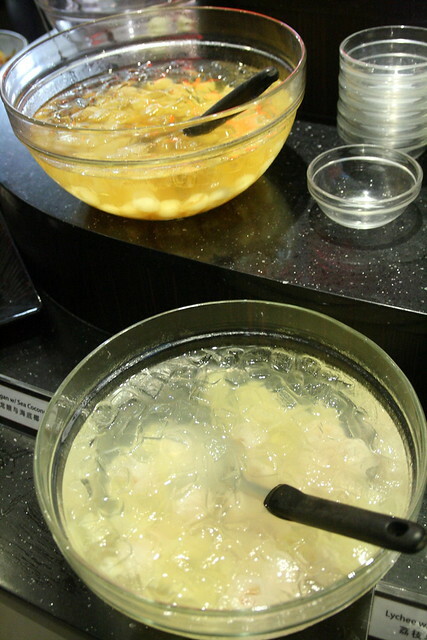 Take some refreshing Chinese desserts like longan and sea coconut, or lychees with pineapples. Might be soothing for the throat. 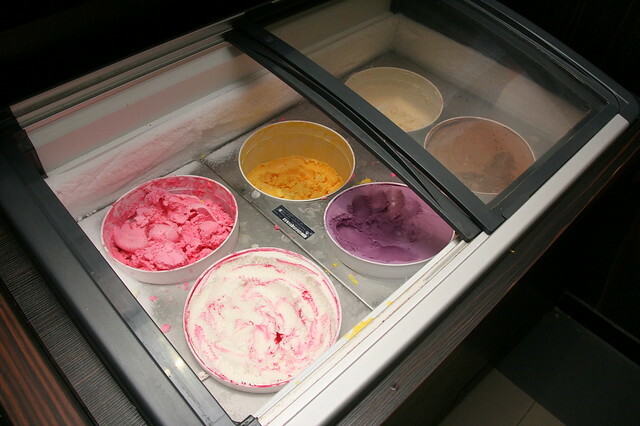 And there's ice cream - six flavours in all! 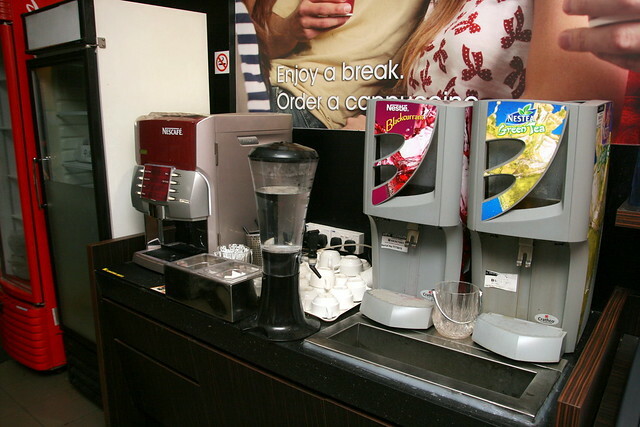 Help yourself to the drinks - coffee (black, latte, mocha, etc) and teh tarik. Nestea blackcurrant and sweetened green tea from the dispenser. And there's always iced water for the calorie free choice. 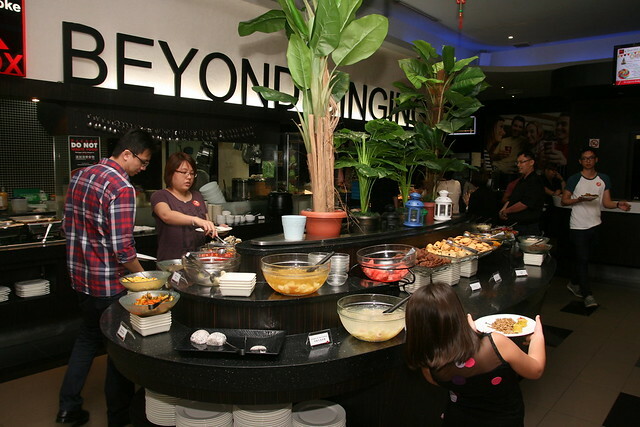 The dinner buffet (from as low as S$25++) is a pretty good deal for friends and family gatherings. 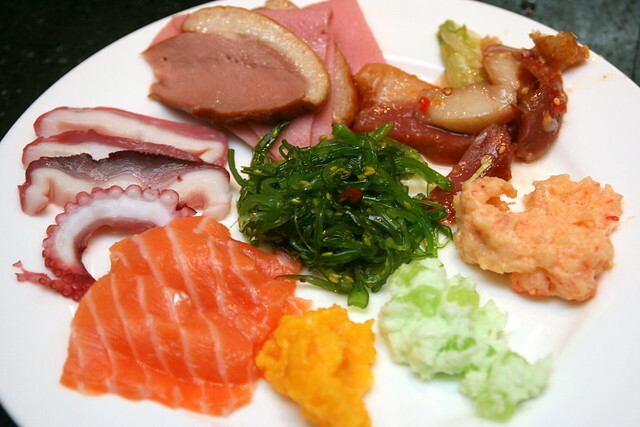 There's something for everyone and you can feast all you want on sashimi, prawns, scallops, duck, meats and snacks. On top of that, you get the karaoke session included too. And right now, there's a DBS/POSB card promotion you can take advantage of. Visit the K BOX Facebook page to keep updated on latest promotions and happenings. See website for other prices and locations.